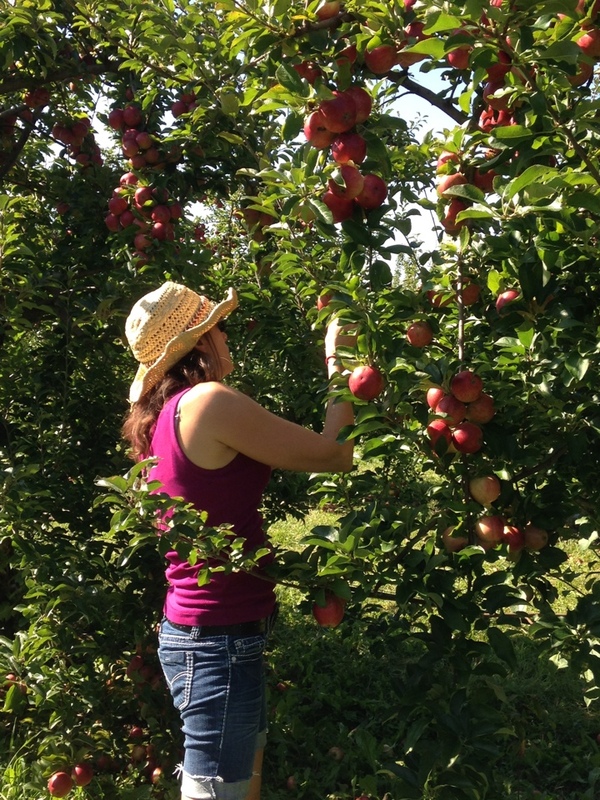 Nothing says fall like apple picking! Who doesn’t love a fresh, crisp, juicy apple? 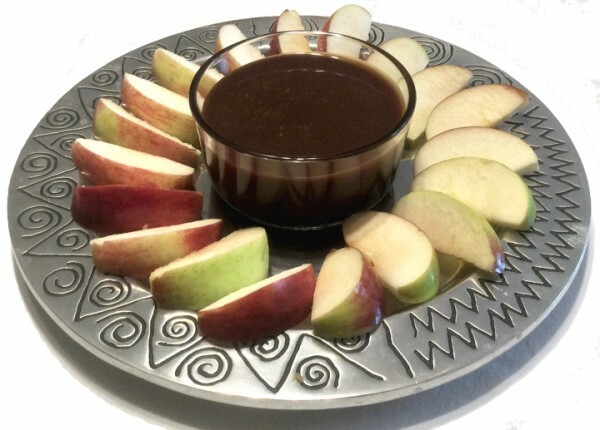 There are all sorts of yummy treats that apple season produces, but one of my family’s favorites is apples with caramel dip. A few years ago, I picked up a popular brand of caramel apple dip and paused to read the ingredients. I was appalled by what was in it, and we literally never bought brand name caramel apple dip again. It was then that our quest for a healthier caramel sauce began. Even the brand from our local health food store, while slightly better in the ingredient department, was still very processed and still had some things in it that I’d rather my family not consume. Not to mention, it had a rather hefty price tag. So, rather than tell my kids we will no longer be eating caramel apples, and risk a family mutiny, I decided we best find a healthier alternative (see, kids, mom IS fun, after all!) This is a great family project, especially if you can get dad involved, too. In our family’s case, my husband is actually much better at baking and making treats than I am, and he has a sweet tooth, so he was all for it! 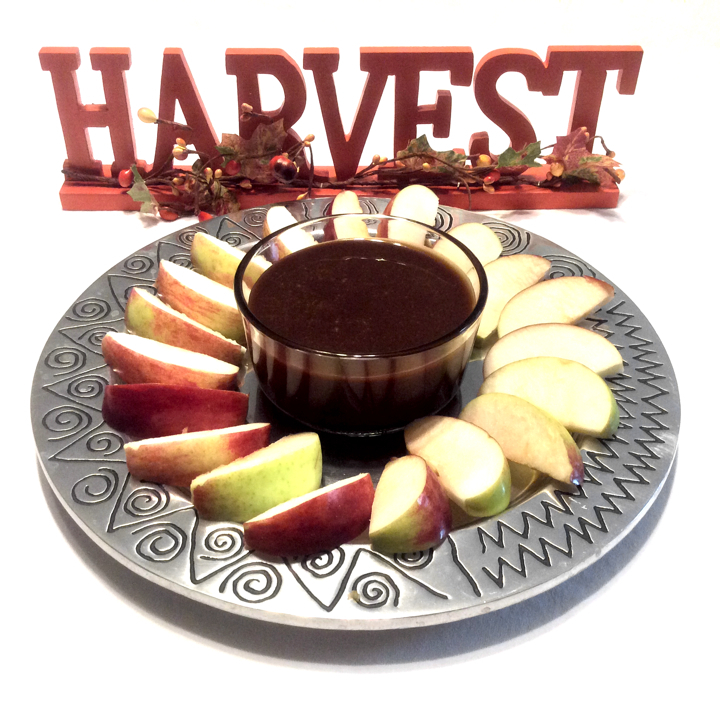 After a glorious fall day apple picking, we decided to make our own version of a healthier caramel sauce. 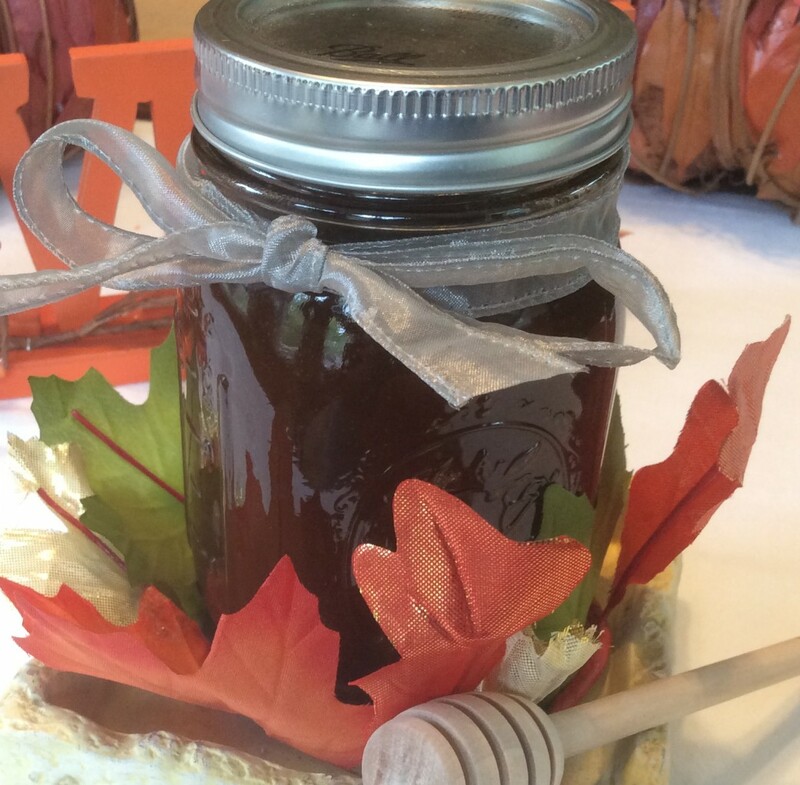 We had a great time experimenting with different ingredients and proportions to develop our recipe, and after seeing how quick and easy it is to make this, I can’t believe we ever bought caramel sauce, anyway! There are lots of different caramel recipes available, but basically, sugar, butter, cream, and, often times, corn syrup, are the main ingredients. Now, I am not thrilled about putting genetically modified foods or highly processed foods in my family’s body at all, but when it comes in the form of sugar and corn syrup, I can visualize their immunity dropping and the toxins building. I feel a lot better about whole foods ingredients that are minimally processed, and you’d be surprised at how good whole foods taste! With that in mind, we decided to make our own version without using corn syrup at all, and using minimally refined cane brown sugar, grass fed butter, organic heavy whipping cream, and honey. These aren’t ingredients that you want to consume in large quantities, but they are a yummy treat once in awhile. 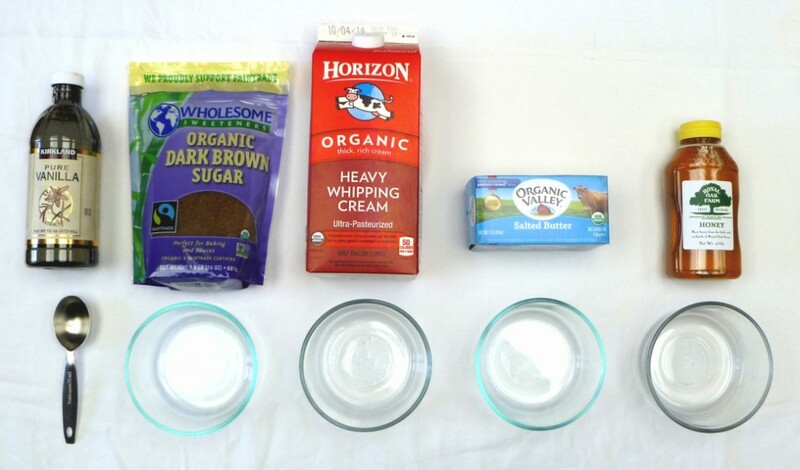 Try our version for a healthier treat, and let us know what you think! Say no to high fructose corn syrup and yes to a healthier caramel sauce! 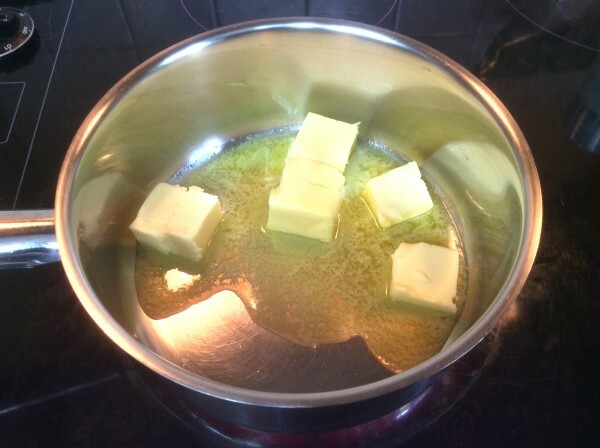 Melt butter in sauce pan over low heat. 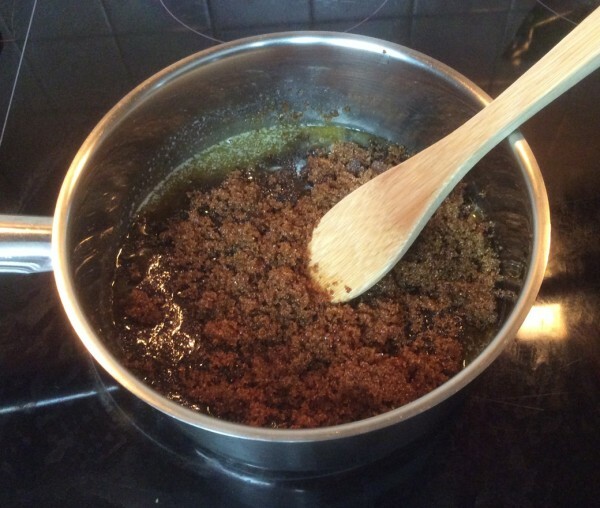 Add brown sugar and stir until mixed into butter. Next add heavy whipping cream and honey. Mix ingredients well, stirring until sauce is a uniform color. Remove from heat, add vanilla (adding the vanilla is fun - be prepared for a surprise. Let us know what happens) and mix until texture is smooth. Let cool slightly. Sauce will thicken as it cools. You can either serve while still warm or let it cool completely. Sauce will keep in fridge for up to 2 weeks. Slice and dice those apples, and enjoy!!! For thinner sauce, try cooking for less time, and for thicker sauce, cook longer. 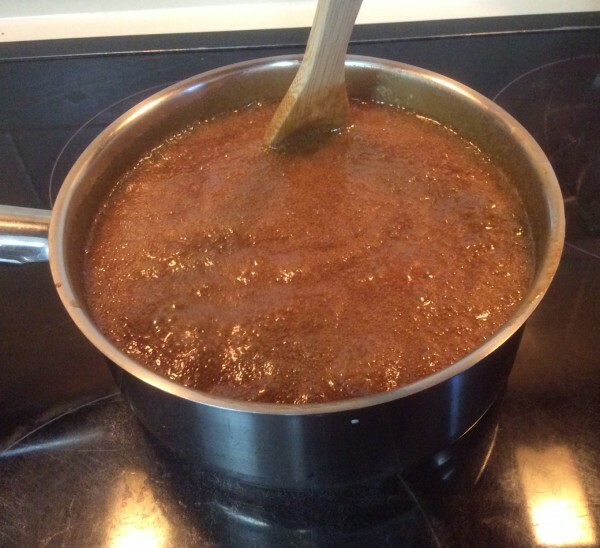 It is important to continue stirring as you do not want to burn your caramel sauce. Increasing the whipping cream (say by 1/2 cup) makes for a creamier sauce - in my house two of the six of us preferred it! 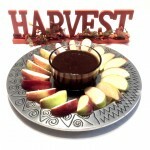 This sauce is versatile enough to use as a caramel apple dip, to make caramel apples, to top off your ice cream, or to drizzle over warm apple pie. Let us know how you use it, and enjoy your treat! 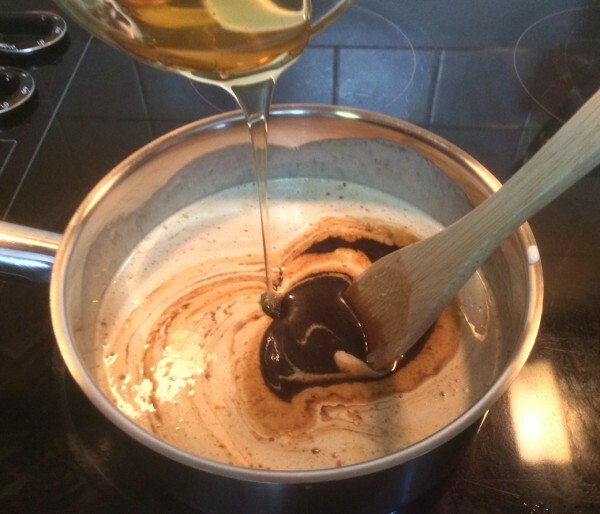 I would absolutely love to see your photos of the healthier caramel sauce that you make. Please add them to the comments below. This sauce is amazing! It was very easy to make and the memories we have together with our family are priceless. Thank you for posting! Thank you for your comment, Natalia. I am glad you enjoyed the sauce, and I especially love to hear that great family memories were made! Blessings to you! Coffee - Is It Good Or Bad For You?